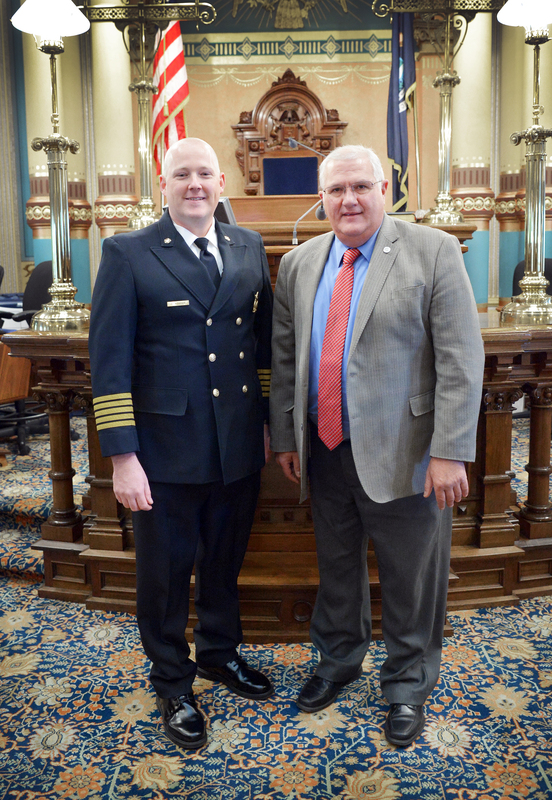 LANSING, Mich. — Sen. Dale Zorn, R-Ida, welcomed Fire Chief Carl Arnold to the Michigan Senate on Thursday. Arnold is a veteran of the Ida Township (Michigan) Fire Department and serves currently as fire chief for the Spencer Township (Ohio) Fire Department. He was at the Capitol to testify before the House Workforce and Talent Development Committee in support of Zorn’s legislation to provide firefighter certification reciprocity to a firefighter from another state, as long as the individual was certified in the other state after completing a program that meets or exceeds Michigan’s standards. Editor’s note: The above photograph of Zorn and Arnold is available by clicking on the image or by visiting the senator’s website at www.SenatorDaleZorn.com. 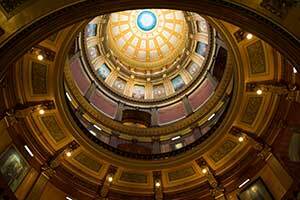 Click on “Photowire” under the Media Center tab.